Ownership of 3DTVs will accelerate rapidly over the next three years, according to research from Strategy Analytics. 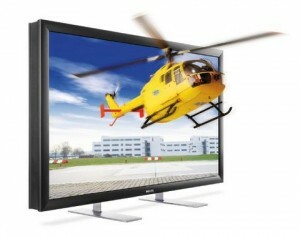 The report, “Global 3D-Enabled Device Sales Forecast,” predicts that 34 per cent of US homes will own a 3D-ready TV by 2014. In Europe, 3DTV ownership will grow even faster, with 42 per cent of homes owning a 3DTV by 2014. In spite of early challenges in the 3DTV market, the report predicts that 3D capability will become commonplace across a wide range of consumer electronics devices. Global sales of 3D-enabled devices are forecast to grow 89 percent in 2011, to reach 95 million units. This forecast includes 3D-ready TVs, 3D TV set-top boxes, 3D Blu-ray players, 3D media players, 3D phones and 3D fixed and portable games consoles.